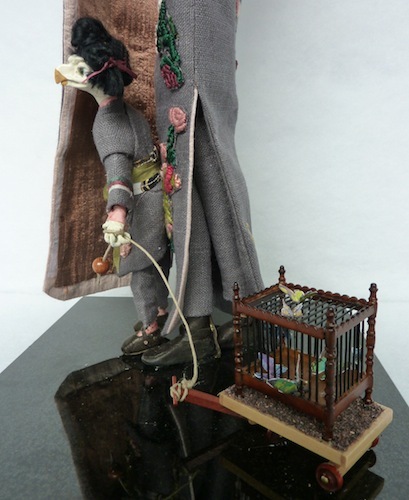 Both bodies are made from Paperclay and apoxie over a metal frame, painted and sealed with acrylics and varnish. 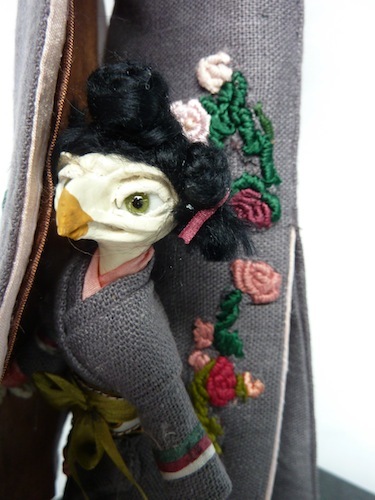 Their heads are owl skulls sculpted with Paperclay, handmade glass eyes, and Mother Nature has got lashes. 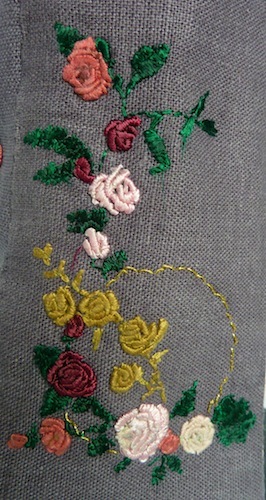 Both got high quality English viscose hair adorned with pink silk ribbons. 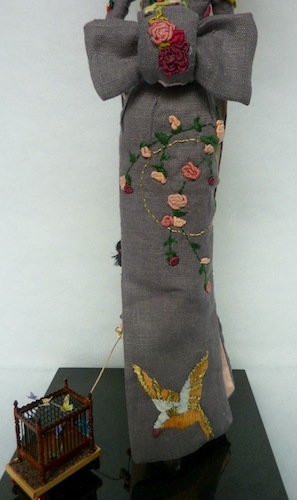 Mother Nature's dress, trousers, and hat are made from dust grey linnen and are hand embroidered by me with DMC embrodery silk. 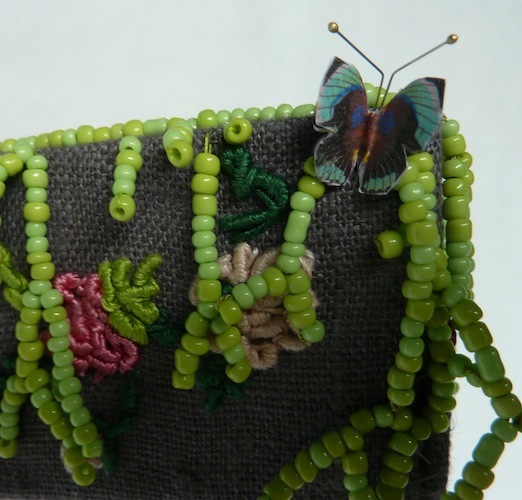 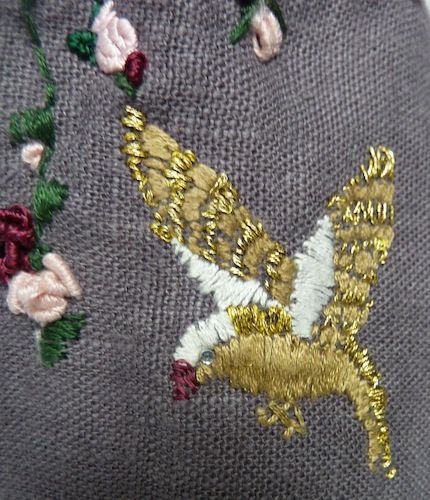 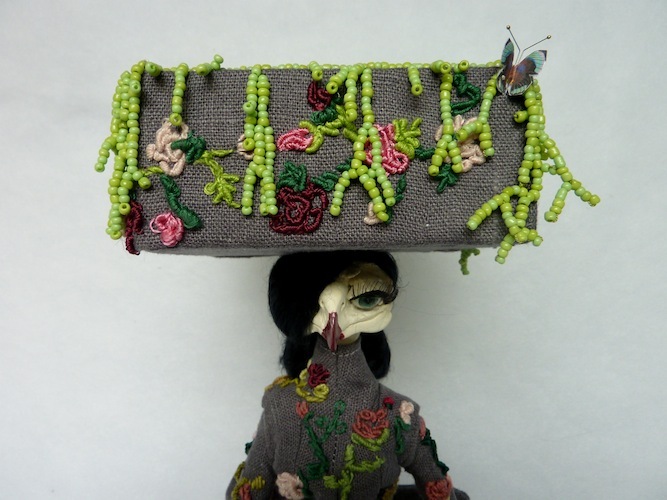 The hat is also adorned with vines from three different colors seed beads, and 2 very detailed paper butterflies. 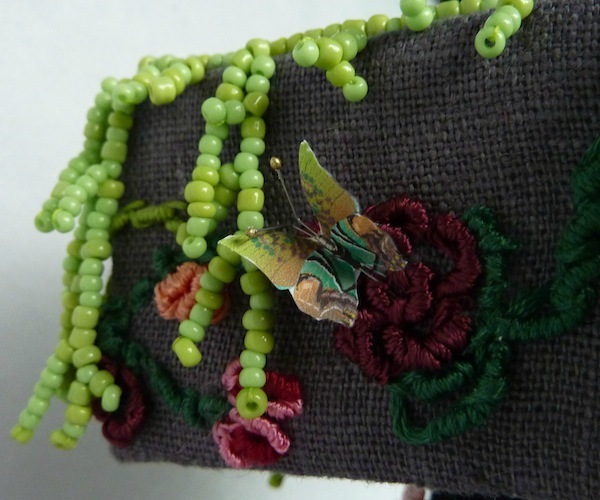 She wears olive green lambsleather boots with metal buckles. 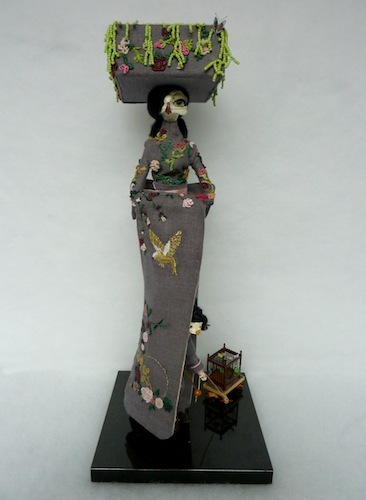 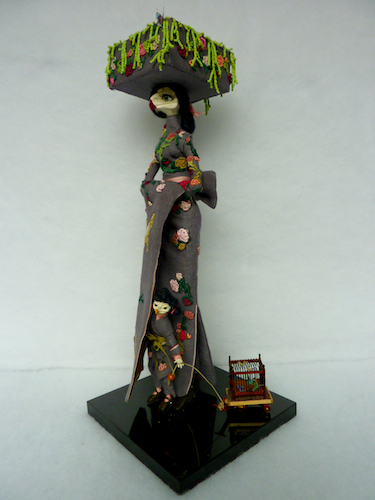 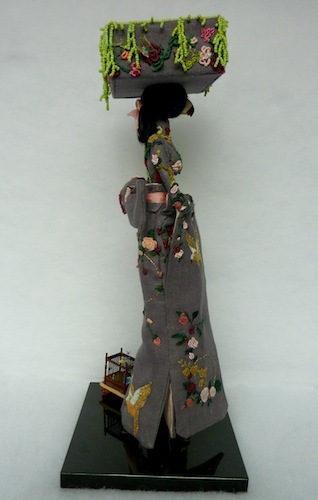 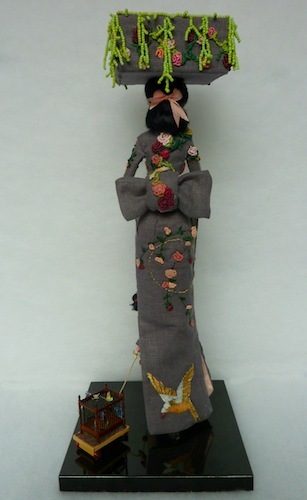 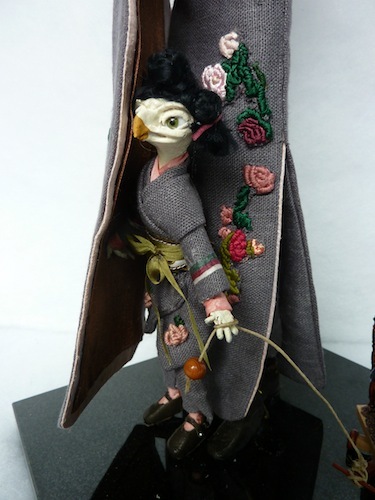 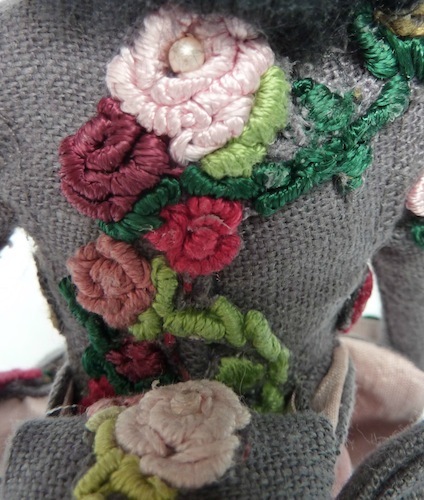 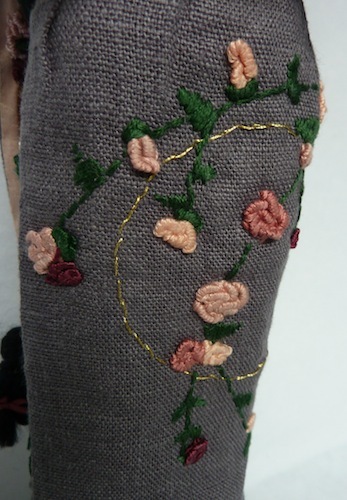 The little girl is also dressed in dust grey linnen adorned with silk embroidered flowers and silk ribbon. 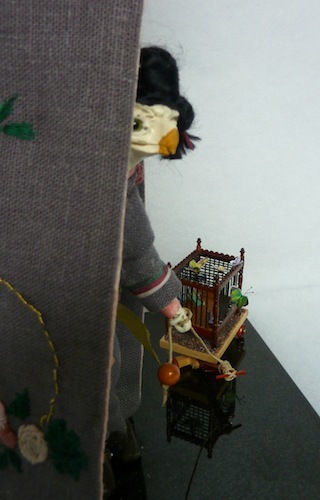 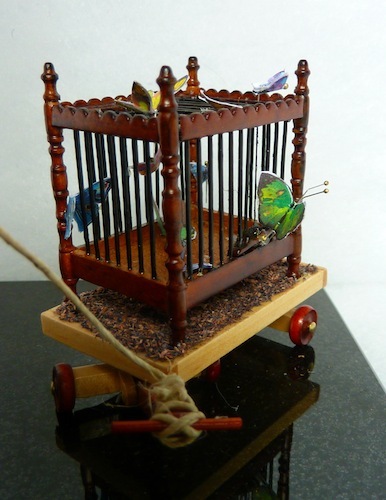 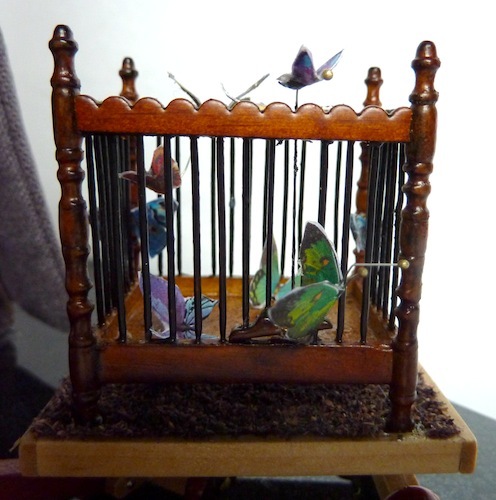 The little one is pulling a wooden cart filled with sand and a wooden Japanese butterfly cage on top. 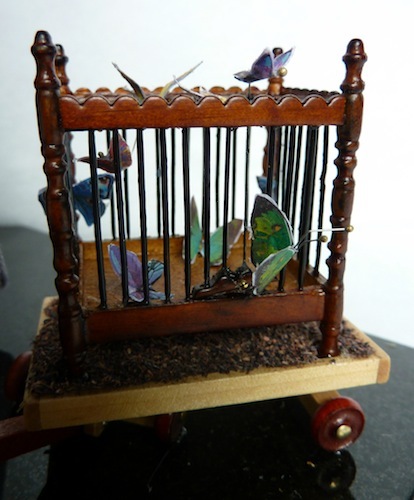 The cage is filled with paper butterflies.